As a small business, you’re probably in direct contact with many of your existing customers. But as your business scales, it’s impossible to maintain personal relationships with everyone. Eventually, your sales, marketing, and customer service efforts will be sizable enough that you’ll no longer be able to manage it all using Gmail and spreadsheets. That’s where marketing automation comes in. 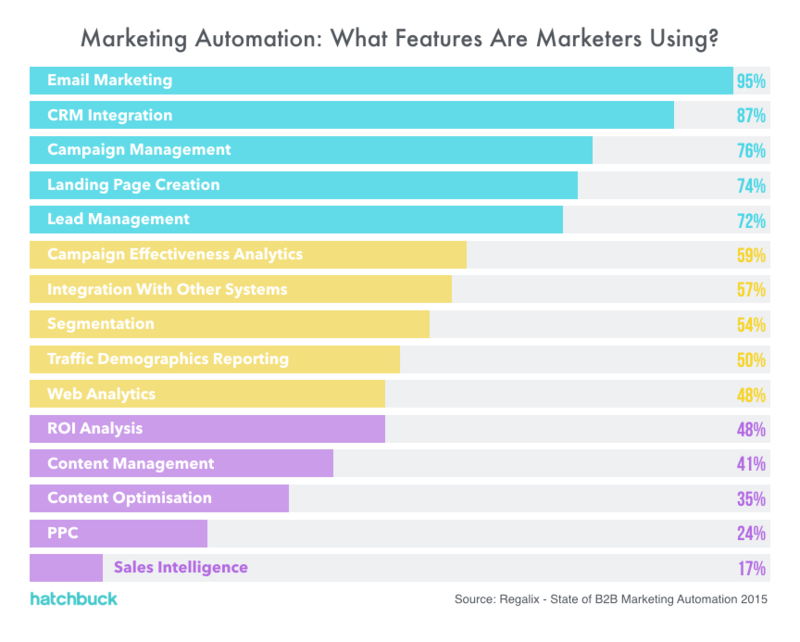 A chart below shows the most popular marketing automation features marketers use to create and automate their sales and marketing process, according to a recent survey by Regalix. Now let’s have a look at the most important concepts you’ll need to understand. There are two overarching marketing techniques: inbound and outbound. Outbound marketing is basically placing ads, buying email lists, and cold outreach. The terms “inbound marketing” and “content marketing” are frequently used interchangeably. Inbound is about attracting users through quality content that pulls them toward your product organically. Marketing automation plays a huge role in the transition of a user from general audience to a lead to a paying customer. You manage that transition by leads through the conversion funnel, featured in the image below. It’s a process of attracting prospects to your site and converting them to actual paying customers as they travel through the funnel. “A major factor affecting your conversions is user flow. It’s the path a user follows through your website interface to complete a task (make a reservation, purchase a product, subscribe to something). It’s also called user journey. Automation plays a key role in both of those goals. In reality, it can look something like this. A prospect lands on your website and signs up for something of value. Then they receive a sequence of personalized emails that engage them and bring them back to your website. When you entice them to sign up for something (resource, online course, demo), you target them with an onboarding campaign designed to move them to the next stage of the funnel, where they hopefully sign on to become a paying customer. 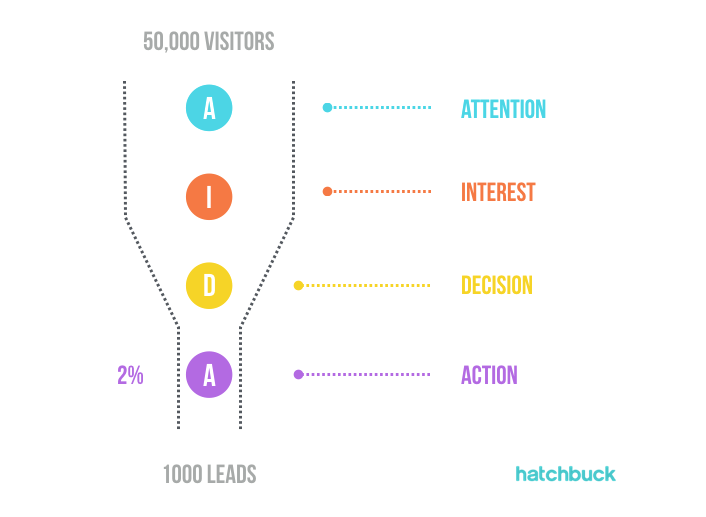 This is a very simplified version of a user flow – there are usually several touchpoints a lead has with your brand before they convert – but you get the point. Users don’t just flow into your sales and marketing funnel, they flow out of it, too. When a customer stops purchasing from you, it’s referred to as customer churn. When it comes to killing churn, marketing automation analytics help you determine the leaks in your funnel. For instance, you may find that many customers sign up for an entry level product, but never upgrade. You can use marketing automation upsell and cross sell these customers, increasing their customer lifetime value and reducing churn. Surveys and customer feedback are also great tools for helping to identify and fix leaks in your funnel. The success of your marketing automation strategy depends on the strength of your user database. If you’re starting at ground zero, you might be tempted to consider buying an email list. Don’t do it. Cold emails can get you in serious trouble (i.e. getting blacklisted and damaging your sender reputation). The best lists are the ones where users already recognize and trust your brand. For that, you need to build a lead generation engine. The way you do so is by creating valuable content and offering people content assets such as eBooks, webinars, guides, and other resources on your website in return for their contact information. The use of a CRM and marketing automation allows you to set up landing pages for these lead magnets and to trigger onboarding workflows, capture analytics, score leads, and so on. As your database grows and you start to deploy marketing campaigns, you’ll have a wealth of data at your disposal. In order to properly make use of that data, you’ll need a system to segment your audience — to group your prospects together based on common characteristics, demographics, needs, and attributes. These groups will be your customer segments. By grouping users into defined categories, you will be able to more effectively target them with precise marketing messages that address their pain points and product needs. So, once you understand your funnel, start collecting leads, and define your prospect segments, it’s time to create your first email workflows. Action-triggered workflows: Campaigns based on a specific action “trigger point” that triggers the campaign. For example, a welcome email after someone subscribes and then follow-up email a week later. Event workflows: For example, an email a week before Black Friday and another one on Black Friday. Email workflows can be set up quite easily using your marketing automation platform. You can set up email workflows based on any information you have about your contacts in your marketing database, such as page views, clicks, or downloads. 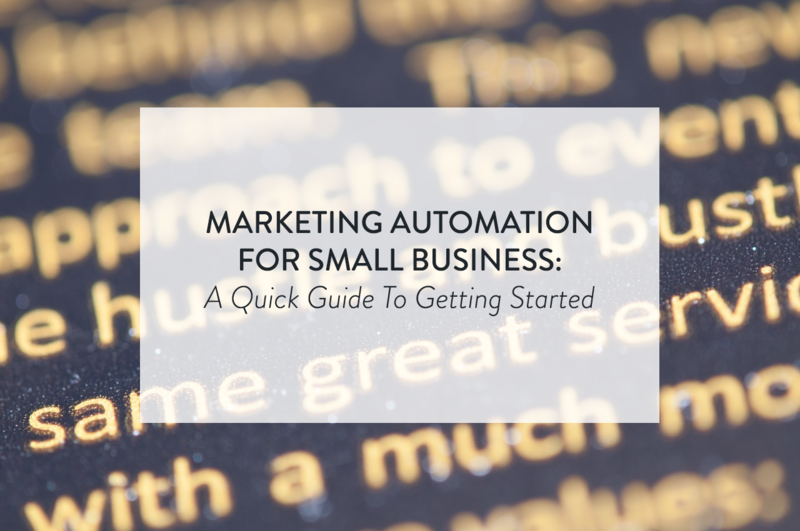 This is a very brief overview of marketing automation for those just starting out. To dive deeper into all things automation, check out our Ultimate Guide To Marketing Automation.